The Antibody Society invites you to join our global community! The Antibody Society serves to create common ground for the antibody engineering, novel binder, and antibody-based therapeutics community. We organize and encourage meetings, pursue antibody-related therapeutic initiatives, and support our next generation of scientists. Our annual meeting, Antibody Engineering & Therapeutics, is held in California in December. The Society’s website serves as a valuable resource for its members. Summaries of the latest advances in making antibody therapeutics into clinical products are posted on a regular basis. Read more bout our Mission and Initiatives. To serve its broad membership, the Society is pleased to be affiliated with two PubMed-indexed journals, Protein Engineering Design and Selection (PEDS) and mAbs. PEDS publishes research papers and review articles relevant to the engineering, design and selection of proteins for use in biotechnology and therapy, and for understanding fundamental properties of activity, stability, folding, misfolding and disease. In cooperation with the Society, PEDS publishes an annual special issue devoted to antibody research. mAbs provides a forum for communication on all topics relevant to antibody research and development, with a focus on therapeutics. The broad scope ensures that the journal’s articles are of interest to scientists, clinical researchers, and physicians, as well as the wider mAb community, e.g., readers interested in investment, regulatory requirements and strategic planning. 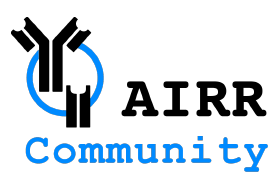 Membership is free for students, post-docs, AIRR Community members who attend AIRR Community meetings and all employees of our corporate sponsors. The Antibody Society offers discounts of up to 25% for multi-year memberships. If you are interested, please send us an email or call (508) 808-8311.